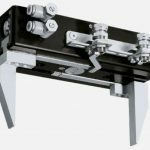 On this post about robot grippers (also known as end-effectors), you can find a compilation of different types of robot grippers, their uses in the industry and some aspects that usually go unnoticed. 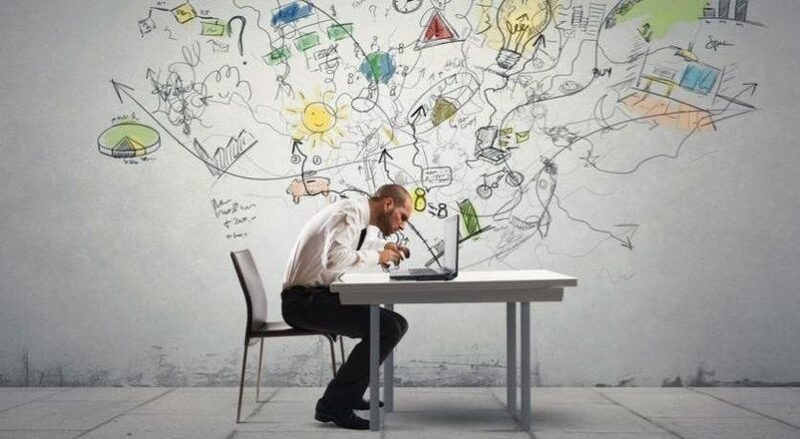 There is a question that every engineer must ask himself when automating a process. Once the robot has been chosen, which one would be the perfect gripper? If the product to be picked is not too delicate, there are several options available but, if we must be smooth, the situation changes. 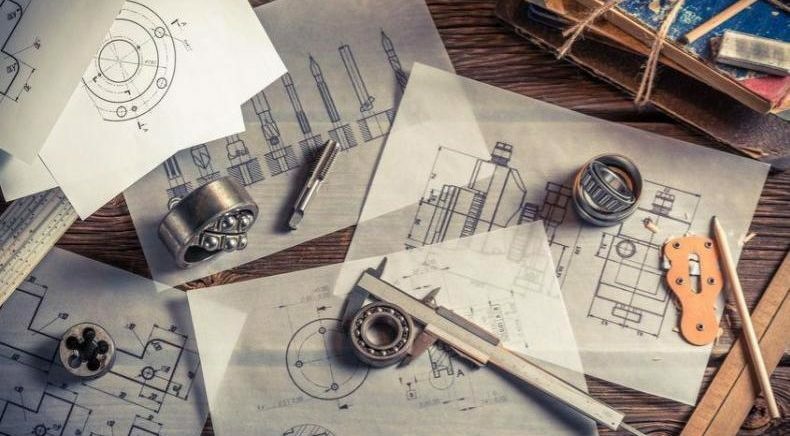 Besides, the manufacturing of custom-made robot grippers is not cheap, there are no guarantees that it will effectively work and its specific programming and adaptation is resource-consuming. Luckily, robotics have changed so much that robots that can be assembled as easily as a kit in some cases. Here you can find different types of the most important robot grippers in the market right now. These are the simplest robot grippers, suitable for many industrial products and easy to manufacture. Within this group, different alternatives can be found: with opening control, pressure control, with distance control in the opening and closing, picking up pieces by inserting the two fingers inside a hole. They can also have pneumatic or electric actuation. 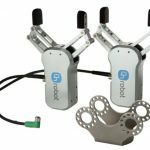 Our favorite models are the one from On-Robot and Robotiq, with its Plug & Play feature in the Universal Robots that makes them easy to use in a factory. Actually, during the Ennmotive Hackathon Industry 4.0 there were people that programmed them for the first time with no previous knowledge. 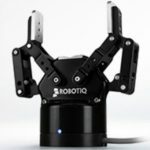 The one from On-Robot can have two grippers on one wrist, which expands the handling possibilities enormously, and also works independently. This type of robot gripper is not used that often since most automation cases can be solved with a two-finger gripper. However, when it is necessary to pick up delicate objects with strength and precision, three fingers grippers are the solution. Besides, they adapt even better to non-flat surfaces with articulated fingers. This kind of robot grippers is essential when there are many different pieces to pick up since a versatile and adaptable gripper is needed. Obviously, the greater the complexity, the higher the price of the gripper, which doubles the two-finger grippers’ price. An example of the use of these grippers is the handling of long tubes since it can improve the alignment and efficiency in the quick spins. There are also grippers with tiny non-articulated fingers which are much cheaper and can pick small cylindrical objects. Some examples are Robotiq for UR , Kinova and Robo Cylinder from IAI. Se the Universal Robots website for a grippers compilation and the links to request a budget. 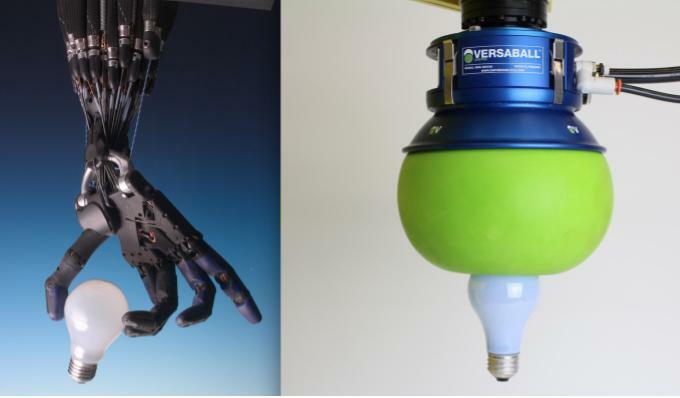 The robot grippers with flexible fingers are newer and more fit to pick up different objects. Although they are more limited in general regarding volume and weight of the object to be picked, they are perfect for delicate things, like food. There are a few simple ones, based on a sheet structure, like Festo Multi Choice Gripper, that also can be used for parallel grippers, or the one from Kuka, fairly similar, designed to be used with cobots. There have been variations afterward, depending on the object to be picked. The variations include the diameter of the balloon and the filling: ground coffee, rice, coffee beans, etc. This is the robot gripper from Cornell University. The progress here was made regarding standardization since it is possible to purchase different predefined types of grippers. There is also an increase in capacity and variety. Here are some examples from ABB, a strong player in the handling of heavy loads. Although its use is not industrial yet, it may be very soon thanks to the speed at which the robot grippers are being developed. 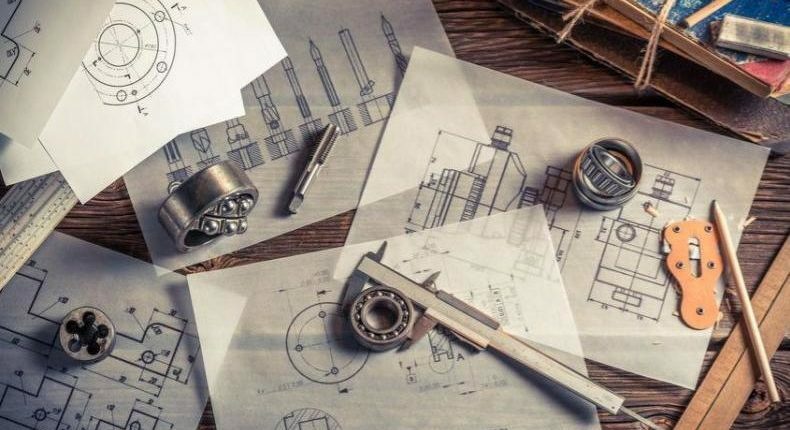 It is quite interesting to see the use of 3D printing in the manufacturing since it adds the benefits of the individualized design and easy maintenance. There are semi-professional 3D printed robot grippers in design platforms such as Grabcad and Autodesk Academy, among others, that can be instantly manufactured by the user. These can be used as long as the necessary strength is not excessive and the objects are light enough, which relegates these grippers to the semi-professional and academic atmosphere. Take a look at this 3-finger version printed by Materialise in Expo Milano 2105. 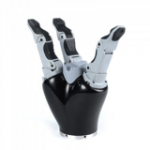 Festo has been working for a few years now on bionic grippers, inspired by nature, through Bionic Learning Network, which resulted in the Octopus Gripper. A different model is the EPFL rubber clamp made with five layers of materials: pre-stretched rubber between two layers of electrodes, which make the fins curve outwards when they are off. Do you know any other robot grippers? How are industrial companies using them?